See Super-Tac vs. Ultra-Tac below for explanation of the aggressive abilities for deSIGNery permanent decals and stickers. Check out our Spring Sale for savings on Custom Super-Tac Decals and Super Aggressive Permanent Stickers in the following link. 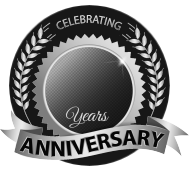 BBB Member since 2004 with a proven record of complaint free customer satisfaction on items like Custom Super-Tac Decals. Click on the BBB logo above to check our record or leave a customer review. If you are in the market for Super Aggressive Permanent Stickers, give us a call today and you will soon realize why after 24 years we still have an A+ BBB rating! At deSIGNerySigns.com we have more than 24 years experience in designs for our Super Aggressive Permanent Stickers. Call us today and let our design specialists help create your next project to promote your product or business. FREE Shipping on all decal and sticker products | Free layout | A+ BBB rating | 24 years in the business | Call Today for a free quote on Super Aggressive Permanent Stickers. Click here for Samples of both super-tac and ultra-tac decals and stickers. Unless you have had previous experience with aggressive adhesive decals in the past, it is recommended that you test this product before ordering. Our extra adhesive stickers work great on storage containers, dumpsters, steel drums, utility poles, heavy machinery, outdoor equipment, tool boxes, storage sheds, farm equipment and recycling bins. Our design staff will advise you on the recommended type of decal for your application needs. When considering Super-Tac adhesive decals and stickers. please specify exact application when corresponding with our experienced sales team. 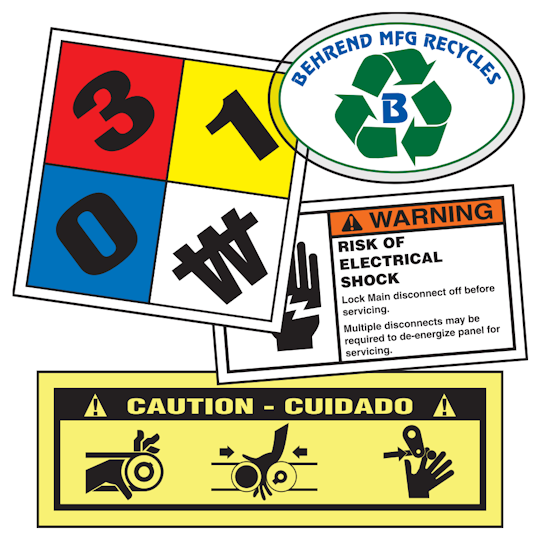 Some of our clients such as Waste Management in Phoenix, Arizona, have ordered the adhesive decals for identification purposes on their dempster dumpsters. They have also purchased overlaminated decals because of their ability to hold up under less than desirable conditions. Arizona Public Service (APS) uses our stickers for warnings labels on their electric poles and for numerous other applications. Our super aggressive permanent stickers with an overlaminate is used by municipalities for slogans, identification, and warnings on the roll out garbage / refuse containers and recycling containers used by local cities like Phoenix, Glendale, Tempe, Mesa, Chandler and other cities all over the United States.